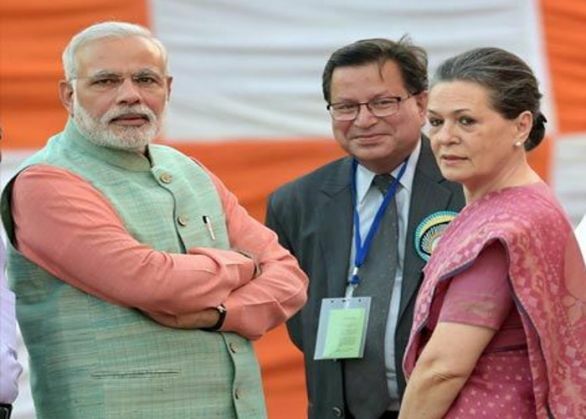 With PM Narendra Modi meeting Congress chief Sonia Gandhi and former Prime Minister Manmohan Singh to prevent roadblocks in the passage of Goods and Services Tax, the bill has been making waves in the Parliament and across the country. From Arun Jaitley's statements that sought Congress to revise its demands and the subsequent rebuttal, some thaw seems to be finally settling in. NDA has agreed to two of three demands put forward by the Congress party after Sonia Gandhi and Manmohan Singh's 'chai pe charcha' with Modi. Good and Services Tax (GST) is the biggest indirect tax reform since 1947 and it will be levied on manufacture, sale and consumption of goods and services. The GST will have only three kinds of taxes - Central, State and the integrated GST to tackle inter-state transactions. Analysts estimate that it would increase India's GDP by up to 2 per cent. The NDA wants to keep alcohol, petroleum products, electricity and tobacco out of GST. The idea is to compensate "manufacturing states" for loss of revenue. Meanwhile, the Opposition argues that except for alcohol, the omitted items account for a substantial part of the input cost of manufacturers. And if they are left out, the companies would lose most of the benefits of GST. According to reports, NDA may agree to the 18 per cent limit on GST and may also agree to waive off 1 per cent levy for manufacturing states. The major focus of the GST is to transform India into a uniform market by breaking the current fiscal barrier between states. Therefore, GST will facilitate a uniform tax levied on goods and services across the country. The indirect tax system in India is mired in complications as overlapping taxes are levied by the Centre and the State separately. Meanwhile, GST will have a dual structure and can boast of twin components - the Central GST and the State GST. Both will both have separate powers to legislate and administer their respective taxations. Currently, businesses in India are subjected to tax regimes of the particular states they operate from. This is to the disadvantage of companies based out of certain states or those operating in multiple states. Taxes such as excise duty, service, central sales tax, VAT, entry tax or octroi will all be included by the GST under a single cover. With passage of the GST bill, one can expect a climate of improved tax compliance. The bills aims to amend the Constitution to bring Goods and Services Tax in to place which would subsume numerous indirect taxes like Central indirect taxes, including the Central Excise Duty, Countervailing Duty, Service Tax, etc. The one tax system will also subsume the existing Value Added Tax (VAT), octroi duty, and luxury tax. The Bill will insert a new amendment in the Constitution which will give equivalent powers to the Central and the state government to make laws on the taxation of goods and services. Centre will fix, levy and collect the tax on goods and services in the inter-state trade and commerce. Consequently, the tax collected will be divided between the Centre and the state government in a manner pre-decided by the Parliament, by law, on the lines of recommendations made by the GST council. A GST council will be put be place which will be entrusted with the task of optimising tax collection for goods and services by the Centre and states. The council will comprise union finance minister as the chairman, the union minister of state in charge of revenue or Finance and a minister in charge of finance or taxation, who will be nominated by the state government of each state. The GST council will be a body which will decide the taxes levied by the Centre, state and the local bodies which will be later submerged with GST. It will also decide what goods and services will be covered under the GST and what rate of tax will be levied on them. It is obvious that states will incur some loss when the taxation system will change in the country. In a major relief, the government will compensate the states for up to the period of five years. An additional tax of 1 per cent will be levied and collected by the Centre on the supply of goods and services in inter-state trade. This additional tax will be shall be assigned to the states for a period of up to two years, or as recommended by the GST panel.